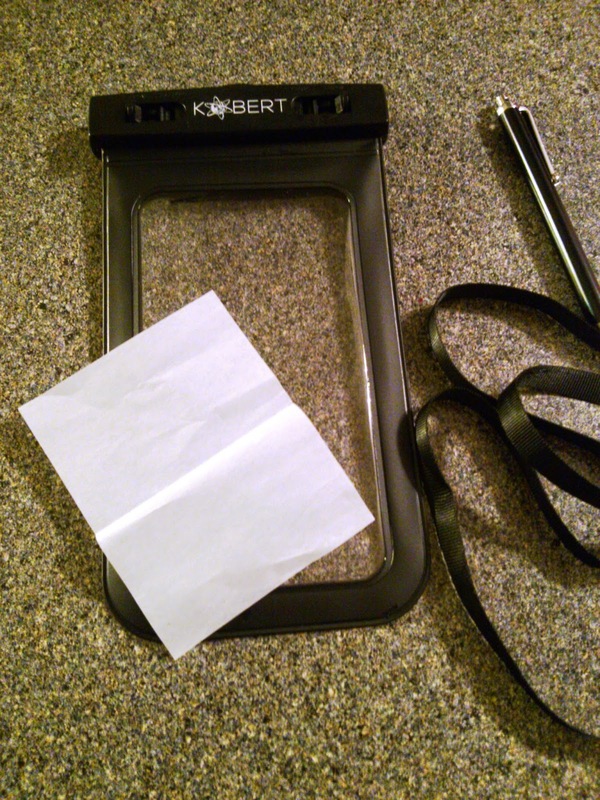 The Kobert Waterproof Case is a specially designed case to keep phones and other devices dry in any type of weather or environment. It keeps devices dry underwater, free of dust and sand, and protected in the elements (snow, rain, sleet.) It's perfect for swimming, skiing, hiking, surfing, canoeing, jetskiing, fishing, snorkeling, and more! The case has a clear front and back so that you can still take photos and videos with your phone or camera, plus you can use your touch screen through the case. It's even easier with the included stylus pen, which I really enjoy using. The inner bag size is 3.34" x 6.49". It fits many phones including: iPhones, Samsung Galaxy, Note Nokia Lumia,Windows Phone 8x, Nexus 4, and HTC One. My LG Spectrum fit perfectly in this case. The first thing I did after opening the case was the"test run" they recommend using a piece of tissue paper in the case and submerging it in water for 5 minutes. This ensures that the product is working properly (and if not, they will replace it.) I conducted the test and sure enough - the tissue paper came out perfectly dry! The seals on the bag are easy to use and it basically locks shut. When I did take the case out of the water and dried it off, I opened the seals and had to shake that part out a little bit as a bit of water does get into the top area, which you probably don't want getting on your phone. 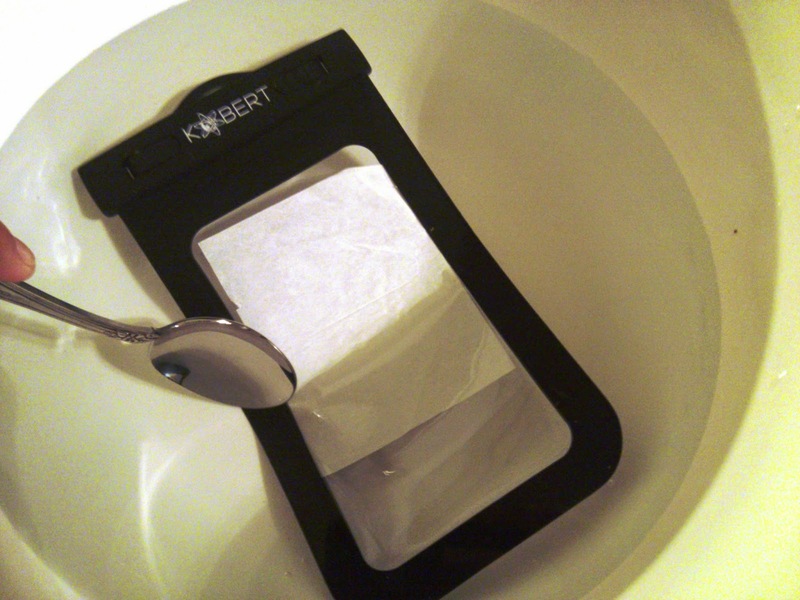 But there was no water whatsoever inside the case or on the tissue paper. After the underwater test - DRY! 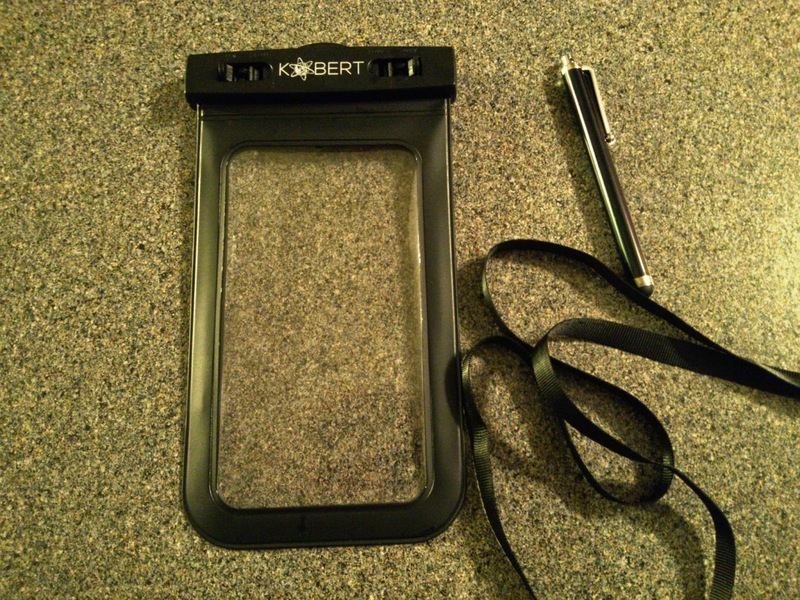 I'm very impressed with the quality of this waterproof case and would feel very confident using it around water, snow, or sand. I would probably use this most while fishing and camping, so I no longer have to worry about my phone getting wet or dirty. This comes with a neckstrap too so it's easy to carry during outdoor activities.